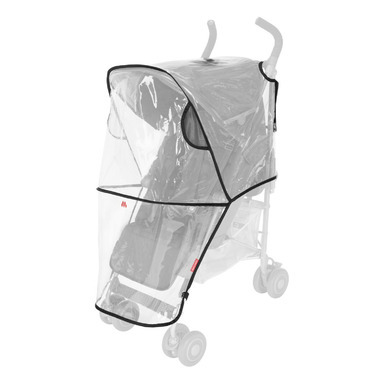 A necessity for every buggy, the lightweight Maclaren Universal Rain Cover protects your child from rain, wind and snow allowing for safe ventilation. Our clear rain cover lets your child look out and you keep a close watch. It fastens quickly and securely to all Maclaren single buggies as well as folds with ease for storage.